Welcome to Our Members page! LICWI is comprised of over 85 published and unpublished authors and illustrators. Please scroll down to learn about each of our members! Asterisk (*) denotes published members. Susan Abrahams taught gifted children for 22 years and had numerous articles and lessons published in trade magazines and national newspapers. She lives on Long Island three blocks from her grandsons who are her constant inspirations for stories. Ms. Janis Abrams received her M.A. in Education from Adelphi University. Her work as a primary grade teacher for thirty years has given her insight into the relationship between loving oneself and the ability to learn and function as a successful person. When she shared her writing with classes and saw how it stimulated discussion about loving yourself, Janis knew she had to pursue publication. She continues creating experiences for children by writing and teaching workshops for Mindful Meditation and Tapping for Children. She belongs to the Society of Children’s Book Writers and Illustrators. Laurie Angus is an illustrator and author of children's nature books. Combining her love of art and nature, she endeavors to spark children's innate curiosity and fascination about our world and become avid nature lovers and explorers. Laurie is a graduate of Parson's School of Design and the New School in NYC. Many lives ago I was an actor, singer and school counselor. Now I'm an author, and wile away my time writing children's picture books. What ties these all together and remains a constant are my dreams and imagination…I try to live my life inspired by all my senses. Most of the time you'll find me reading, watching old movies, globe trekking and whenever possible sharing laughter & food with my family. Jennifer Ball is a freelance illustrator, graphic designer and painter working and living outside of New York City in Port Jefferson Long Island. She's a graduate of the Hartford Art School in Connecticut where she majored in Visual Communication Design and minored in both illustration and painting. Jen is a member of LICWI , SCBWI and CBIG. Her medium digital illustration. June H. Blair is an Illustrator and freelance Artist and Designer. She has been a member of LICWI since its earliest inception as East End Children's Writers & Illustrators and a long-time member of SCBWI. Her presentations demonstrating the evolution of the children's book from sketch-to-print have been well received by audiences that range from preschool to adult. her riveting adventure story for elementary school-age children, as well as her life experiences. Debra Carter has entered phase II of her life by leaving the corporate world behind to write and breathe life into the characters that live in her heart. Although a resident of Bohemia, New York, she also lives in the magical world of her character, Dreama, the wishing star fairy, while working on her book titled “Dreama and the Magic of Belief.” Debra has a completed picture book, “If Jenna Did a Cartwheel,” ready for query. Selene Castrovilla is an award-winning teen and children’s author. Selene holds an MFA in creative writing from New School University and a BA in English from New York University. She lives on Long Island with her two sons. Deborah Cuneo is a freelance illustrator, art teacher and an active member of SCBWI, CBIG and LICWI. Her current, finished work is mixed media and digital, although she's always exploring new combinations of mediums with which she can create art. In addition to illustrating for both the general and educational children's book markets, Deborah also creates art for invitations, greeting cards, house and pet portraits, and basically anything that can be sewn, painted or printed on! Diana Ting Delosh is an illustrator/writer. Her illustration credits include: Farfaria, Harcourt Achieve, Scott Foresman, Ladybug Magazine. She has written for Highlights/High Five and Ladybug magazines. Diana received the Highlights/High Five Pewter Plate Award for Puzzle Poem of 2008 and the 2002 SCBWI Magazine Merit Honor Award for Illustration. She is a member of the SCBWI, CBIG and LICWI. Michael Dotsikas is the creator of Benjamin Birdie – the little bird with a BIG dream! Michael was born in Greece and emigrated to the U.S. with his family when he was four. He now lives in Manorville, NY with his wife, Dina, their blended family of five amazing children, and two precious pups. In addition to his passion for creating stories for children, he is a technology consultant and is founder and owner of Business Systems Consulting, a leading NY technology firm that provides premium computer consulting services to small and mid-sized companies. Traveling and spending time with family and friends are favorite pastimes. Ginny Fey is a self-taught, freelance artist and illustrator who lives on the North Fork of Long Island. Although her preferred medium is digital, her artwork and subjects are as varied as her interests, hobbies and passions. Ginny is also a nurse, chaplain, licensed real estate agent, and co-director of global missions of her church. In her "spare" time, you 'll find her creating, studying, volunteering or snapping photos. Her favorite pastime is traveling and embarking on new adventures with her hubby and backpacking dog. Ginny is also a member of SCBWI and CBIG. Linda Maria Frank created the Annie Tillery Mystery series from her experiences teaching forensic science and her love of Nancy Drew. She likes to think of the series as Nancy Drew meets CSI. She is working on a third book and producing her local access TV show, The Writer's Dream. Patricia is a full-time real estate sales professional specializing in active senior communities. She also volunteered as a religious education teacher of grade school children for the past decade. Her relationship with the children and the seniors in addition to her own personal experiences inspired Patricia to write Miracle of the Butterscotch Candy. Julie Gambra, an educator, mother, wife and author, has completed her new book When My Daddy Comes Home. It is a fun and captivating story that explores the bond between father and son. With its vivid illustrations, the reader is taken on an adventurous ride through the daily life of a young boy. Published by Page Publishing and available on Barnes and Noble.com and Amazon. Bonnie Grubman is grateful to have fallen in love with picture books, to have worked in early childhood education and to have had the dream of getting published come true. (And Moonstruck ever since.) When she is not writing, she is creating pretty things with artful "junque" like wood, nuts, bolts, lots of paint and vintage mismatched china. Joe Guida is well known on Long Island, NY as "The Singing School Bus Driver." He performs his original music and stories at many schools and libraries. One of his hobbies is gardening and he grows a variety of vegetables and flowers. His moonflower plants inspired him to write his first book entitled The Legend of the Moonflower. Joe currently has three children CD's and a Scool Bus Safety DVD. Brian Heinz is a critically acclaimed author of children's books and an award-winning educator. He is also the founder of the Author/Illustrator events, an event that brings Long Island's finest authors and illustrators to their youngest fans. He also offers writing programs to school children and teachers. When Brian has a few relaxing moments, he builds historial model boats, and enjoys vacationing with his wife Judy. Sue Henn is an elementary teacher who shares her love of reading and writing with her third grade students. She graduated with a Bachelor’s Degree in Elementary Education from Adelphi University and a Master’s Degree in Liberal Arts and Sciences from Stony Brook University. As a child she enjoyed writing creative stories. Her love of the craft was ignited while writing at Columbia University Teachers College Reading and Writing Project. Sue’s favorite pastimes are boating on the sound, spending time in the Adirondacks and playing with her silly dog Winston. Kyle Horne is a freelance artist base in Long Island. He graduated with his bachelors degree in Visual Communications from SUNY college at Old Westbury and is continuing to pursue his goals with his first children's book. Art has been a big part of his life, ever since a very young age. He continues to incorporate that passion into his everyday life. Amal is freelance illustrator and instructor from Baltimore, MD. She is published in traditional and educational children’s books and magazines and her work is in international collections and museums. She recently completed her MFA in illustration at the Academy of Art University, San Francisco and teaches at the Long Island Art League. She lives in the pleasantly strange village of Port Jefferson with her husband, daughter, and a thousand giant mushrooms. Lois Kipnis is a creative arts consultant with forty years of experience as a drama teacher and arts administrator. that enable teachers to integrate the arts into curriculum. Karenann E. Knotoff began writing at the age of eight. By the time she was fifteen she had won several writing and poetry contests along with the honor of writing a play for her high school drama club. The play performed to two sold out nights. In 2007, her first children's book was published. Karenann is married with two children. She is an accomplished flutest, loves to read, swim, ride her bike, crochet, needlepoint and spend time with her family. JoAnn Vergona Krapp is a School Library Media Specialist. Her articles on children’s literature have appeared in numerous periodicals, including School Library Journal and School Library Media Activities Monthly. In addition to writing, Ms. Krapp is a watercolor artist. She resides in Farmingdale, New York, where she teaches writing and painting workshops for children. She is a member of the national Society of Children’s Book Writers and Illustrators and the Amity Artists Circle. Melissa Kuch first realized her passion for writing after her first story was read before her third grade class. Today, Melissa’s stories and plays continue to inspire and entertain readers from all walks of life. In addition to writing, Melissa enjoys singing karaoke, playing tennis and watching The Marx Brothers movies. She currently resides in Massapequa Park with her husband Michael and approximately 20 fish (at last count). Sandy Lanton, a former teacher, earned a BA in Psychology and an MS in Early Childhood Education from Queens College. When she isn't writing or visiting schools, she likes to crochet, play bridge, and read, read, read. Annina Luck is an illustrator and writer who loves bringing mythology and Byzantine and Tudor art and history to life in her picture books and middle grade projects. She volunteers as the Illustrator Coordinator for SCBWI Long Island and also leads creativity and coloring groups at her local library in Huntington. You can view her work on Twitter @Annina Luck. Liz Macchio is an illustrator/writer. Her illustration credits include Saddle Sisters: The Trail Ride, Paul's First Day of Preschool, and The Long Winter in Preschool. Saddle Sisters is her first attempt at authorship thus far. She used two of her four daughters as inspiration for the book and hopes to author/illustrate another one soon. Presently she works as an aide for handicapped children and young adults here on Long Island. Barbara Mason Rast is an illustrator, fine artist and author. Many of her works including children's book illustrations, corporate art, and paintings have been displayed in numerous galleries, shows, libraries and businesses. Her appreciation for fantasy, realism and beauty in nature are the main focus and inspiration in her creative work. Amy brings disability awareness to light in her children's novels. A former teacher for 15 years, Amy is now a disability educator traveling to elementary schools as a visiting author. Her goal is to help elementary aged students better understand disabilities, specifically autism. ​Donna McNaughton is a former legal secretary living on Long Island, New York, with her husband Ken. They have two married daughters with wonderful husbands and a terrific grandson. For many years, she volunteered at church and school and has worked with preschoolers through a music and movement program called “Play Hooray" (formerly Musical Moppets) offered at public libraries throughout Long Island. Learn Along With Lily is her first picture book. Jan Milusich is a teacher for the blind and visually impaired and an author of picture books and middle grade e-books. She is currently looking forward to the release of her newest middle grade e-book entitled Bryn’s Quest: The Search for Clun’s Treasure. She is a member of SCBWI. Lisa Navarra M.S. Ed. is currently a Special Education Teacher, Author, Behavior Specialist and parent. As the founder of Child Behavior Consulting, LLC. She has applied years of research and implementation to design Tools Inspiring Action!™ which teach children and adults the skills in "how to learn" so academic and behavioral challenges can be overcome through visual/verbal prompts, through music and through children's books. The books, "Henry's Thoughts" and "Henry Learns To Launch" serve as a platform for adults to teach students/children how to self-regulate and to assist in the development of executive functioning skills so students/children can learn to focus, reach their potential and be the best they can be! Lena is part of a family band called “Lena and the Happy Clam band” which performs her original music at libraries around Long Island, preschools and festivals. She is the writer of many musicals produced at The Long Island Children’s Museum in Garden City. With a passion for the environment and a background in journalism, she has an interest in writing children’s books that help connect kids with nature. She lives on Long Island with her husband, Brian, two children, three cats and her a Chihuahua. Dr. James A. Perez has worked in the field of education for over twenty years. He is a proud husband, father, and lifelong comic book fan who lives on Long Island with his family – including his niece, Maia. In addition to fantasy adventure novels, Maia & Icarus and Maia & Hippolyta, he wrote Grandpa’s Walking Stick, a picture book for his daughter, Ellie. Orel Protopopescu is an award-winning children's author and poet. Her first two picture books, Since Lulu Learned the Cancan and The Perilous Pit, are now available as apps from Auryn, Inc. Two Sticks was chosen as a Bank St. Best, 2008, and Thelonious Mouse is the 2012 Crystal Kite winner of the SCBWI New York metro region. Since 1990, she has conducted fiction writing and poetry workshops in schools and libraries all over Long Island and (in 2009 and 2013) in Paris, France. Orel lives in Miller Place, New York, with her husband, Serban. Paul Rodriguez is the author/illustrator, dancer/choreographer, rapper, environmentalist, teaching artist type. From New York to Louisiana, Paul has brought his books, music and programs to tens of thousands of children. With themes ranging from anti-bullying to understanding children with autism to environmental awareness, his books help children build positive self-esteem while teaching them to think and be thoughtful of others. Don't Do Drugs! Do Dance! Addie holds a BA in Elementary Education and a Masters with Distinction in Secondary Education English. She has been visiting schools and conducting classroom-writing workshops for over 25 years seeing over 10,000 children annually. She loves family, friends and traveling. Christa runs a private day care center as well as teaches piano lessons to children of all ages. Being surrounded by little ones has been a constant source of inspiration for her love of writing children's stories. She is currently querying for her first Christian Easter picture book. Award winning poet, motivational speaker, and children's book author, Darren Sardelli, makes poetry fun and exciting for everyone! His poems are featured in 16 children's books in the U.S. and England, and 20 textbooks (worldwide). Since 2004, Darren has visited more than 500 schools (in 8 states) as well as hundreds of libraries and camps. His assemblies and writing workshops have turned countless students and educators onto poetry. Darren's poems have been featured on Radio Disney, in best selling books on the Scholastic Book List, and are being used in lesson plans all around the world. Joseph E. Scalia was born in Brooklyn, New York and has taught English and Creative Writing on Long Island to reluctant junior/high school students for 33 years. He has written and published numerous poems, two novels, FREAKs and Pearl, and two books of short stories, No Strings Attached and Brooklyn Family Scenes. Roy has written for newspapers, magazines, websites, academic organizations, tech companies, toy companies, and production studios. He received his BA in English from The New School University and his interdisciplinary MA in English and social thought from NYU. He's taught English and writing at the City University of New York, and is a writer-in-residence at the New York Public Library. When not writing novels, he's the director of communications of a regional law firm. He can be found on Instagram, Twitter, and Facebook as RealRoySchwartz. Stephanie J. Shulman has a B.A. in Fine Arts and a M.S. in Elementary Education. Stephanie is a school teacher who has been writing children’s stories and poetry as a creative outlet for many years. Her poetry was first published in "A Cascade of Memories- The National Library of Poetry". She looks forward to sharing her stories and inspiring her readers and listeners to laugh, smile, and connect through literature. Stephanie lives on Long Island with her husband and two children. 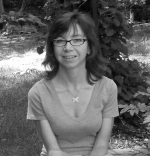 ​Cindy Sommer has been a member of the SCBWI and LICWI for 14 years. She is currently the Treasurer of LICWI. "Saving Kate's Flowers", will be coming out fall of 2016 with Arbordale Publishing. Sheila and Letty Sustrin are identical twin sisters who retired after teaching for 38 years in the Brentwood, N.Y. School District. In their "Life After Retirement" career, they have co-authored a humorous series about a retired teacher. The twins visit schools and teach children about retirement. They like to feel that their books have helped bridge the gap between young and old. When Cheryl's not running, swimming, biking, sailing, kayaking or hiking, she’s writing, painting and drawing. With eleven illustrations published with SCBWI and an award-winning poem published in Cassandra, Spring 2010, her dream of publishing one of her own books hovers ever so close. Currently Cheryl shares her stories and illustrations at Story Time with Cheryl, an interactive story time program for young adventurers. Dean is a retired NYC Sanitation Worker and former Grumman Aerospace employee as well. His inspiration to write his first book came from rescuing a former racing Greyhound. He has begun to assemble a series of learning stories based on simple rhymes. His books will help the young reader learn on his or her own, or make a great read to me anytime story. Eleanor Turino began her career in education as a reading and social studies teacher and had worked as a children's librarian in a public library setting. Several years later, she was fortunate to have the best of both worlds as an elementary School Media Specialist until her retirement several years ago. Children's literature was an integral and beloved part of her work. Over the years, she thought about her stories, wrote drafts, filed them, revised, and refiled. Here she is today with her two picture books and other works in progress! She is a member of LICWI and the Society of Children's Book Writers and Illustrators. Debbie Vilardi is seeking an agent for her independent work as well as freelance projects. She writes teachers' guides for Cobblestone and Dig magazines and has three picture books available from Tun Tun English. She also copy edits and writes articles for Xiaoduo Media, and moderates the Online Critiques section of the SCBWI Blueboards. Sandy Wasserman is a retired teacher and taught for over 35 years, working for the most part with Gifted children, including her grandchildren, who inspire many of her stories. She loves to swim, read, travel, and explore unusual places. Sandy is a member of SCBWI, LICWI and the LI Association of Jewish Librarians. Wendy Wax has written many children's books and illustrated some as well. She graduated from the University of Michigan with a BFA in graphic design, and moved to NYC where she became a children's book editor and a collage artist. Wendy has written many books for Nickelodeon. She writes "Pete the Cat" early readers and illustrated Pinkeriffic Playdate, a Pinkalicious early readers. Wendy also freelances as an editor/consultant, mostly for SCBWI members who want to get published. Joyce A. Zucker is a teacher, and professional musical storyteller a board and table game inventor. She creates educational interactive musical stories and songs. She gives workshops and programs for teachers and children (grades Pre-k to 4). She has presented and lectured at colleges, universities, elementary schools, libraries and museums. She also had a column in Parent's Connections. Many of her songs and games have been published in different publications.